NOTE: If you arrived here using the http://www.arcx.com/sites link, then you've been redirected to the new home of this web page. Ignore what your address bar MIGHT SAY, and note the official address is now http://arcxsites.myvnc.com. If you find any broken links or missing pictures, please email me at pbextreme@gmail.com. Welcome to my web page. You'll find all sorts of cellular related items here, geared primarily for the Southern Ontario market. My cell phone reviews should be useful to anyone who can buy the specific models from their local providers. I've current reviewed phones by Nokia, Motorola, Sony-Ericsson, Kyocera, Siemens, Samsung, Audiovox, Mitsubishi, Sanyo, LG, Sharp, and V-Tech. 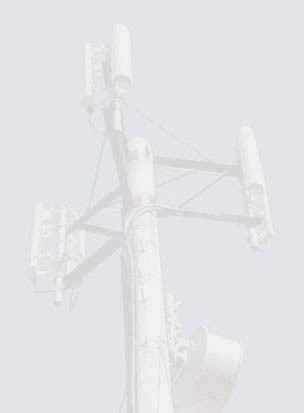 I have technical discussions on wide-ranging topics include TDMA vs CDMA vs GSM vs iDEN, as well as maps of all the cell sites for Telus PCS, Telus Mike, Bell Mobility, Rogers, Fido, Virgin Mobile, PC Telecom, Cityfone, and 7-11 Speakout Wireless. Come and join my Beta Test group for LTE Widget. This widget tracks LTE sites and tells you which one you're on. It can also show you the site locations on a map. Just head on over to the support group and request to join. It's free. Do you use VoIP.ms? If so, check my app to administer your account from your Android device. Check here in Google Play. Note: Virgin Mobile, Solo, and PC Telecom use the Bell Mobility network, while Fido, 7−11, Petro Canada, and Cityfone use the Rogers network. discussing phone reviews and this web page. From January of 2005.
cell phone plan for teenagers. From September 23rd, 2009. I'd love to hear from you. If would like to make comments, or ask questions, then please drop me a line at pbextreme@gmail.com. Before you ask your question though, please check with my FAQ, as it might already contain the answer you seek. PLEASE NOTE: DO NOT ask the following question: Have you reviewed or do you have any information about phone xxxx? If I've reviewed a phone, that review is online. If there is no review of the phone you are interested in, then I haven't tested it and I won't have any information to pass along to you. Also, I DO NOT recommend individual phones. Please read the reviews and make up your own minds based on what I say about the features that interest you. The background image you see on this page is a former Telus PCS site at Eglinton and Highway 403 in Mississauga. It has since been replaced by a taller metal monopole a little to the north.